On today’s episode of THE FOOD SEEN, drinks writer Maggie Hoffman has shaken and stirred amongst the best bartenders in New York City while at Serious Eats, and now sidles up to the bar in San Francisco for the Chronicle. 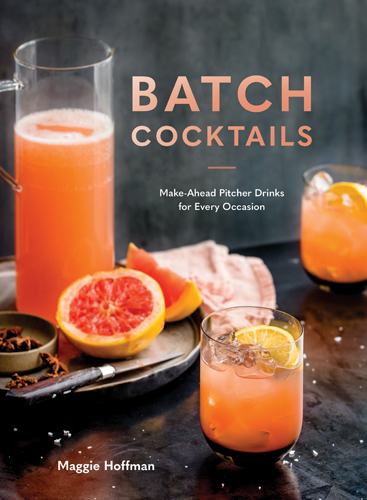 While her passion for potables has already produced a book on One-Bottle Cocktails, it’s her unquenchable thirst that’s brought about Batch Cocktails, her most recent addition to libation lit. Raise your glasses, nay, pitchers, and cheers to all the drinks made-ahead.